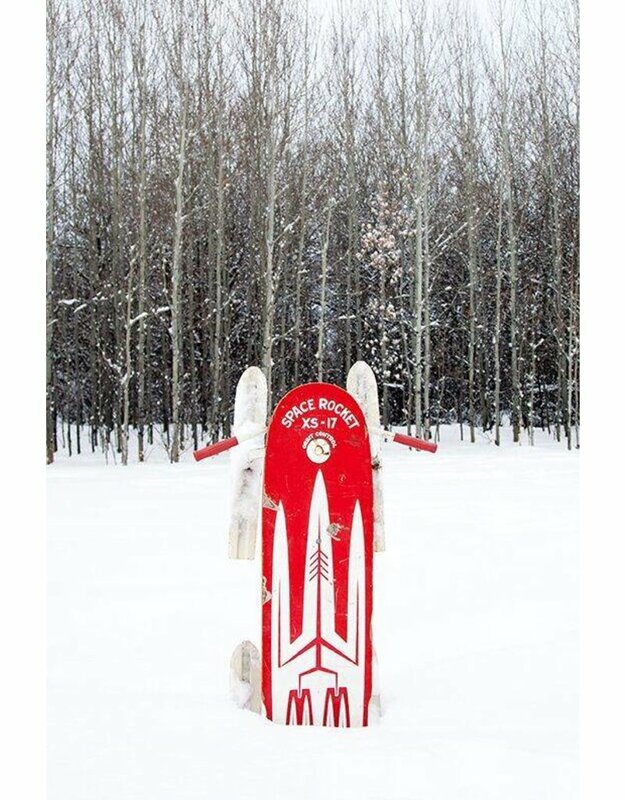 This atomic era space rocket sled is a mid-century kid's dream. 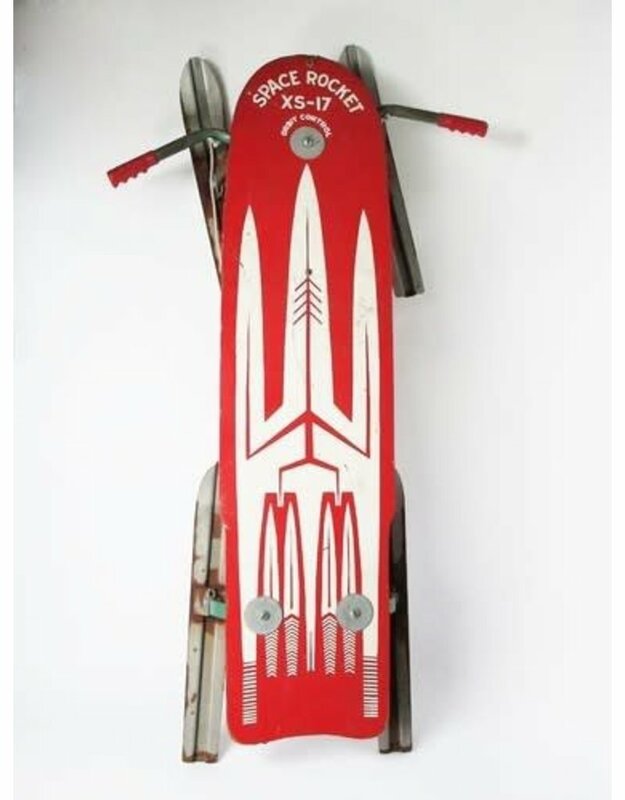 The Space Rocket XS - 17 is from the 1950 - 1960 era and was manufactured by the Viking Division in Stoughton, Wisconsin. 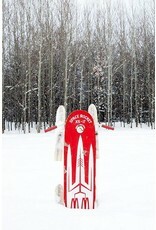 The sled's main feature is its "Orbit Control" which allows the rider to steer (to some degree) by moving the tracks. 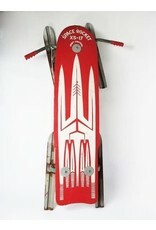 It has a great rocket design on its top while also sporting bright red paint. It is in good condition, with some scratches here and there as well as some wear on the feet as you can see in the photos. This unique piece would look great for any holiday or wintery display in your home, or maybe in a window of a shop somewhere. Can you imagine how much fun it would be to ride down a huge hill with one of these? As long as you don't hit a tree, it'd be a slippery joy ride!